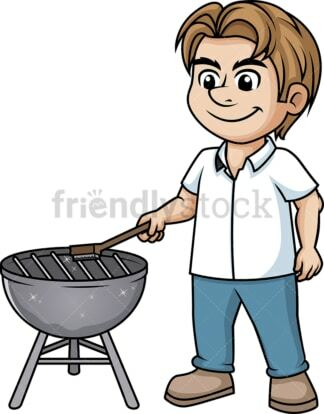 Royalty-free stock illustration of a man wearing an apron and cooking round shaped beef burgers on the grill while holding a spatula. Royalty-free stock illustration of a man using a spatula to get a cooked beef burger out of the grill and on a plate he is holding with the other hand. Royalty-free stock illustration of a man wearing an apron and cooking chicken on the barbecue grill, using a tong to switch one over. 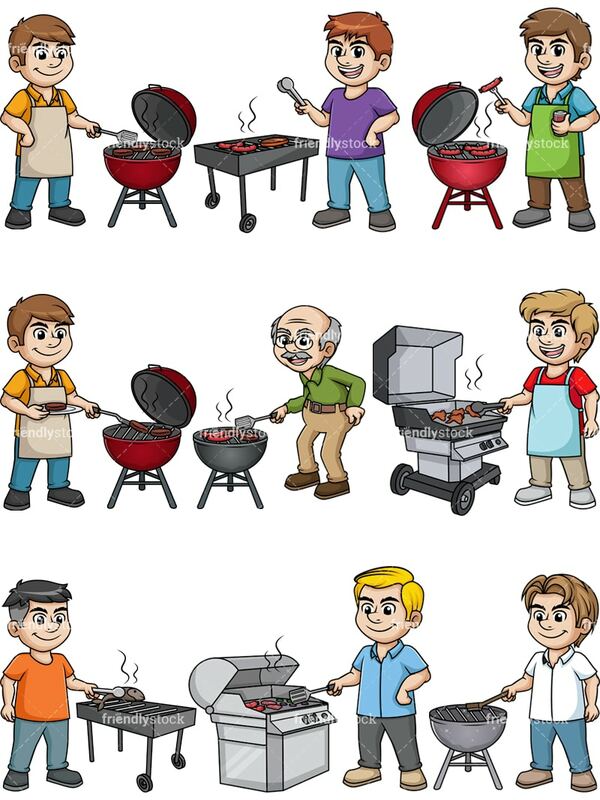 Royalty-free stock illustration of a man grilling sausages and steak on a grill, holding a tong. 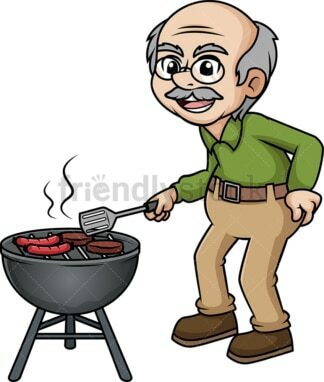 Royalty-free stock illustration of an old man cooking BBQ on a grill. He is holding a spatula to flip over his beef burgers and sausages. 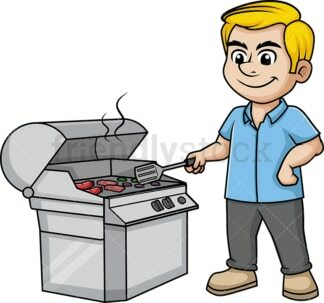 Royalty-free stock illustration of a man grilling steak, sausages and vegetables on a large grill. 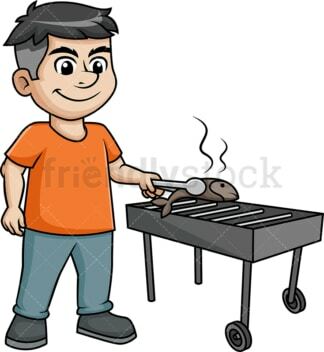 Royalty-free stock illustration of a man wearing an apron and grilling sausages while holding a can of beer with one hand and a fork with a sausage on it with the other hand. Royalty-free stock illustration of a man cooking fish on the grill. Royalty-free stock illustration of a man using a barbecue grill brush to clean the grill after cooking.